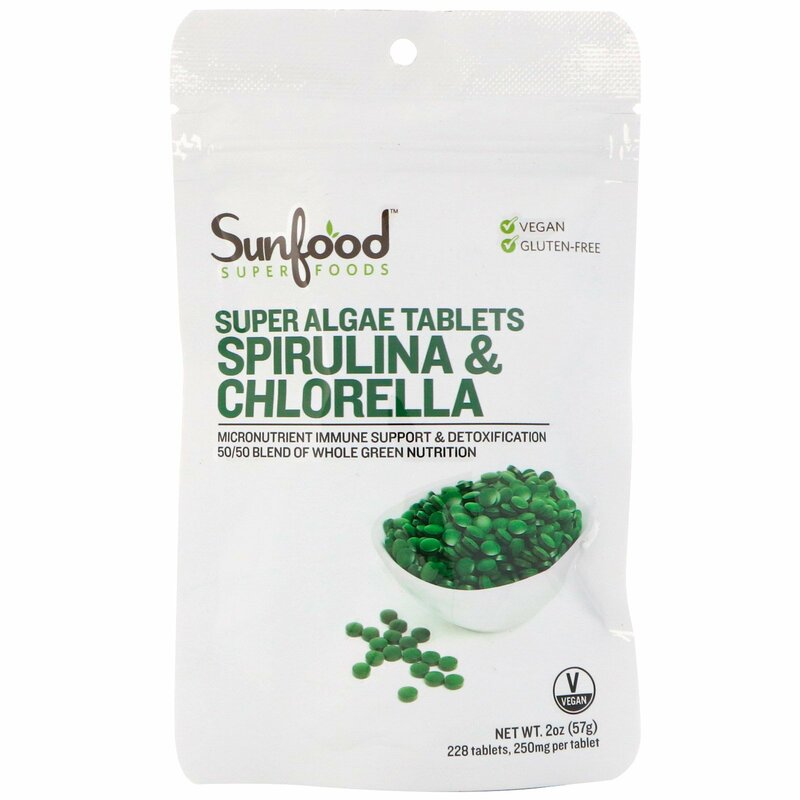 Our Spirulina & Chlorella Tablets are a 50/50 blend of two potent, chlorophyll and protein rich algae. Combined, they provide a full array of micro and macro nutrients including all the essential amino acids, vitamins B1, B2, B6, and B12, magnesium, iron, zinc, healthy fats and vitamin A (beta-carotene). The two algae complement each other perfectly, containing antioxidants (carotenoids) and anti-inflammatory compounds to boost immunity, while simultaneously working to detoxify and alkalize the body. This powerful green superfood nutrition aids the body in maintaining optimal health on the molecular level. Consuming Spirulina and Chlorella daily is a highly recommended practice for strengthening and elevating your body’s nutritional profile. 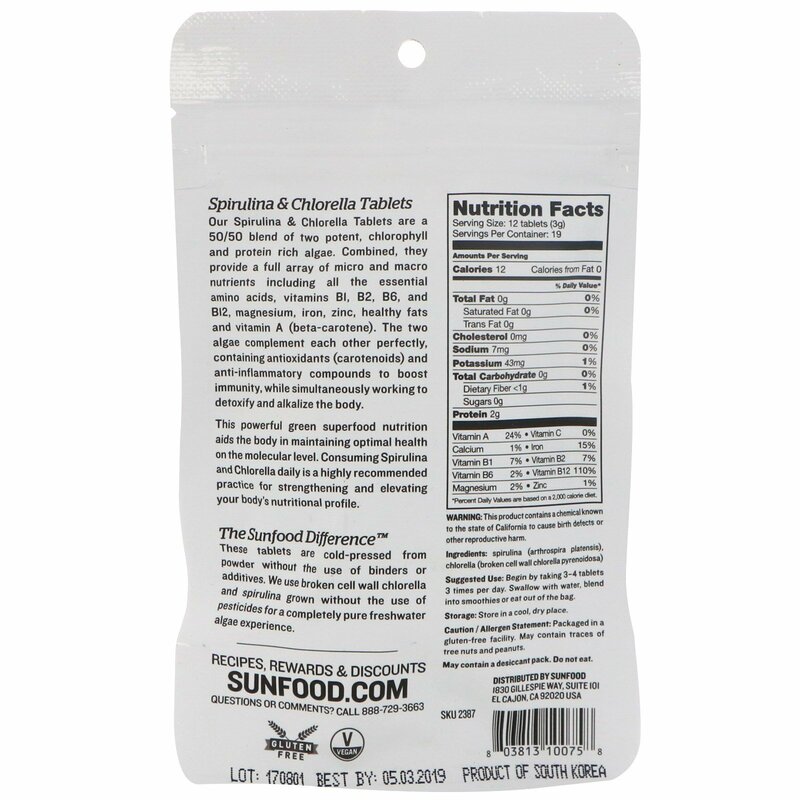 These tablets are cold-pressed from powder without the use of binders or additives. We use broken cell wall chlorella and spirulina grown without the use of pesticides for a completely pure freshwater algae experience. Begin by taking 3-4 tablets 3 times per day. Swallow with water, blend into smoothies or eat out of the bag. Spirulina (arthrospira platensis), chlorella (broken cell wall chlorella pyrenoidosa).